Home / Editor's Choice, Entertainment News, Featured Articles, Gossip and Drama, Lifestyle, Media News, News, Politics, Sponsored, Sports / Our tips on Gor Mahia v Homeboyz and 6 matches played today where you can make good money. Our tips on Gor Mahia v Homeboyz and 6 matches played today where you can make good money. 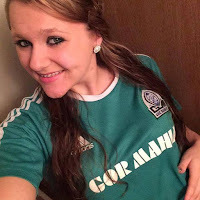 Monday, August 13, 2018 - Gor Mahia are simply peerless in the Kenyan Premier League and today looks like any other routine outing for the mighty Sirkal when they play Kakamega Homeboyz. The Green Army has proved to be the most bankable side in the KPL and today won’t be any different. We back Gor to win and the match will end with over 2.5 goals.